Finding the right monitor for your photo editing needs doesn’t have to be expensive. There are many options on the market that are not only color accurate but affordable as well. I’ll give you my favorites for budgets from $300 to just under $500. If you’re looking for color accuracy on a budget, here are a few monitors I’d recommend. Color Gamut, as well as out-of-box calibration, are given a priority here. Below this list I’ve also included a summary and basic review of each monitor as well as a buying guide for monitors in this price range. What resolution do you use for editing? If you’re shopping in the under $300 space for a photo editing monitor, you’ll likely come across these three monitors. To avoid any confusion, here are a few of the differences between them. The ideal monitor size for me personally is 24 inches. I use a three-way setup that makes 27″ monitors a bit too big. For me, one of these 24″ monitors from Dell’s UltraSharp series is ideal. This series has been the bread and butter of the industry the last several years and is common among both photo and video editors. The U2414H and 2417H (deltaE <4) models cover 96% of the sRGB space while the U2415 covers 99% at a deltaE <3. All three of these monitors come factory calibrated out of the box and from what I’ve seen so far, the calibration is very good. It may not meet the standards of a $1,000 calibration, but, these are $200 to $300 monitors. Similarly, the three monitors all have VESA compatible 100mm holes for mounting. Both the U2414H and U2417HJ have a 1920 x 1080p resolution while the U2415 has a 1920 x 1200 resolution. If you need the extra height, go with the U2415. If you don’t, you might be able to save a buck by going with the U2414H or get some extra features out of the U2417HJ. The U2417HJ has a 23″ version that typically falls in the under $200 category and both of them have wireless charging stands. 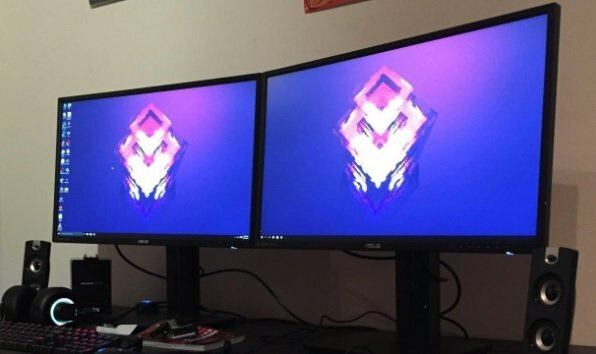 Overall, these are three monitors that provide extremely good value for their price. They look great as well with classy stands and a nearly invisible bezel. One shortcoming for some it’s that you’re getting 1080p rather than 1440p or 4k here. If you’re looking for a higher resolution, there are a lot better options in the larger monitors out there. Few 24″ monitors with 1440p are accurate and inexpensive enough to recommend. Two more monitors I’d look at in this space are the Asus PB238Q and PB258Q. Even though the naming scheme is quite similar, these two monitors are fairly different. Before I begin I’ll mention that I find both of these monitors to be a bit lacking in both their factory calibration and accuracy. If you don’t need as much accuracy as the Dell models above or you plan on doing the calibration yourself, there is value to be had here. That being said you will find the contrast ratio to be good with this series of monitors. First of all, the PB238Q is the cheapest photo editing monitor on this list at under $200. It comes with a 1920x1080p resolution and has an IPS panel with wide viewing angles. The stand is fairly sturdy and offers height, pivot, swivel, and tilt adjustment. For connectivity Asus has offered a wide array of options including DVI, HDMI, and DisplayPort options as well as 1 USB upstream and 4 down. Overall it’s a good buy if you’re willing to calibrate it. Admittedly, I do find it less attractive than many of the other options on this list with a more prevalent bezel and more obvious buttons. For the PB258Q you’re getting another 100% sRGB monitor in a 25″ display and a 2560×1440 resolution. For just around $300 it offers quite a bit of real estate. The design of the bezel is more minimal with this model and it similarly offers tilt, swivel, pivot, and height adjustment. Both Asus models are VESA compatible with 100mm holes for mounting. Asus markets this monitor as an Eye Care technology monitor. This means it uses low blue light, flicker-free technology, and allows for an ergonomic design for adjustment. Overall, both of these monitors definitely have a place here on our list. The PB258Q is a good gaming option with around a 5ms response time so it’s an ideal work and play option. If you’re looking for something inexpensive and ultrawide, try Dell’s U2913WM. For around $300 you get a 21:9 display with a 2560×1080 resolution. It comes factory calibrated with more than 99% sRGB and a delta-E less than 5. Dell’s UltraSharp series always does a good job with their connectivity options and it’s no different here. The U2913WM comes with DisplayPort 1.2, USB 3.0, Mini DisplayPort, DVI, and HDMI. The stand is solid and it has a fairly attractive design. Overall, the U2913WM is a good value purchase. 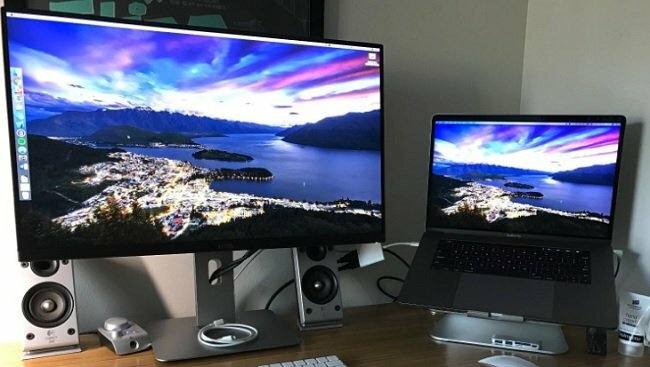 The ultrawide option is certainly not for everyone, but will be a plus to those who would prefer setting up one monitor rather than two. Looking for something a bit more substantial? Here are three monitors that set themselves apart in the $400 to $500 price range. If you’re looking for another ultrawide monitor that’s good for photo editing and gaming, I like the LG 34UM68-P. For $400 it offers a lot of value for the money you pay. With sRGB over 99%, an 8-bit 16.7M color IPS display, and a refresh rate of up to 75Hz, it’s accurate and smooth. Still, this isn’t your typical photo editing monitor. It’s accurate and ready for movies and games at the same time. Black Stabilizer helps to reveal superior detail in dark scenes in movies and in games and it supports AMD’s FreeSync at a range of 48-75Hz. Admittedly this is a bit of a gaming monitor and might feel a bit wide to the average photo editor. That being said it has good blacks and color accuracy overall. I won’t get too far into the Dell UltraSharp U2715H except to say that it’s probably the one I’d personally choose in this price range. It shares a lot in common with the U2415H, that model admittedly has less IPS glow, but offers more room with a 2560×1440 resolution. The U2715H has great color accuracy and consistency once you pull it out of the box with 99% sRGB coverage and a deltaE of less than 3. This is certainly one of its biggest benefits. Compared to the previous generation U2713HM I like the design of this one better and it has better connectivity options as well. It’s similar in contrast. Unless you’re hoping for 4k here, I strongly recommend you go with the U2715H. It’s a great option. If aesthetics matter to you, take a look at the Asus MX27AQ frameless monitor. With the nearly invisible bezel, aluminum alloy design, and ring stand it looks amazing. 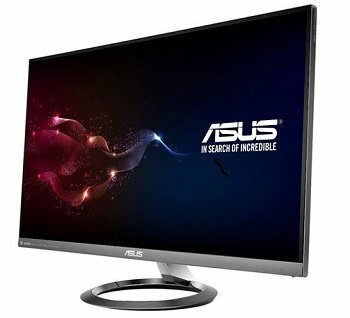 How do the monitors specifications compare to the others on this list? For adjustment, the MX27AQ is lacking a bit with a simple tilt adjustment. Those who need to adjust the height here may not appreciate this part of the design. The panel is a 27″ AH-IPS with 100% sRGB coverage and a 2560×1440 resolution. Overall this monitor is large, accurate, and gives you a ton of screen real estate. It certainly has it’s weaknesses, like the adjustability of the stand, but overall it’s an aesthetically pleasing option with the upside of color accuracy and a lot of room to work with. If you’re looking for a newer 4k option, I like the LG 27UD68-P. It comes color calibrated out of the box and has sRGB of over 99%. Blacks are deep and better than expected. In addition, the game mode, 5ms response time, and black stabilizer make it a good option for gaming. Like many other newer monitors in the space, it’s also FreeSync compatible when connected to the DisplayPort and using an AMD graphics card. For design, the bezel is almost invisible and honestly I couldn’t ask for more. It is VESA mountable for those who want to hang it up. The sturdy stand with cable management has tilt adjustment but there is no height adjustment. Overall, this monitor with its 8bit + A-FRC color truly exceeds expectations. It’s definitely the 4k monitor I’d recommend for photo editors and gamers at this price range. This is not an exhaustive list. If your goal is to know everything there is about monitors, you’ll likely need to look elsewhere. Still, this guide is easy to understand and hopefully covers what most need to know before purchasing a monitor for photo editing. If you have questions, I’m happy to answer them below. 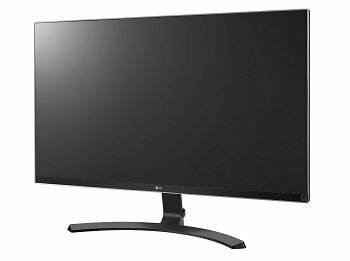 All of the budget monitors I recommend are IPS monitors rather than TN. Why? IPS panels are able to produce more consistent and accurate color. In addition, they have wider viewing angles and produce a very clear image. The term IPS itself is a bit generic and can be associated with a variety of panels; however, the basic benefits remain the same. Response time is basically the time it takes a pixel to go from black to white and then back again. This typically takes longer for IPS panels. However, many of today’s less expensive e-IPS panels have sub 5ms response times which mostly eliminate the motion blur issues caused by less responsive monitors. Resolution is basically the amount of pixels your monitor has. This is typically listed horizontally and then vertically. For 1920 x 1080p, that means there are 1920 horizontal by 1080 pixels vertical for a total of 2,073,600 pixels. For 4k this number is literally more than 4 times this amount with 4096×2160 or 8,847,360 pixels. Depending on the type of photo editing you do you may or may not need the extra pixels. Aspect ratio is basically the ratio of pixels on your monitor width to the height. The standard used in the initial more square-like monitors was 4:3. Today, the most popular aspect ratio is 16:9. Other aspect ratios like 16:10 are popular among photo editors because of the increased vertical space. I’ve also seen a lot of 21:9 this year which is more of your ultrawide screen or cinematic movie ratio. Most still prefer a 16:9 aspect ratio with a few choosing a wider or taller ratio based on the types of projects they do. Contrast ratio is important to most photo editors as it measures the ratio of the brightest white to the darkest black that the monitor can produce. Calibration allows you to set your monitors colors to a standard so that they look the same when printing and editing across multiple calibrated devices. If you’re a photographer whose images end up on someone’s walls this can be very important. On the flipside of things, many people like their monitors bright and may not be interested in having their monitors perfectly calibrated. If you’re not printing out anything and if you’re working with others who don’t have calibrated monitors, it may be something you can just ignore. Some monitors come pre-calibrated fairly well and can save you time and money. Software can also be used to calibrate. This can be free if you’re using the Windows 10 calibration tool or range from about $100 to $1,000 depending on the software that you’re using. If you’ve looked for a monitor before, you’ve likely heard of these terms. I’m not going to go into too much detail here as this is more of a beginner’s guide. Simply put if you need to match color, this is important to know. If not, you’re good to go. Color Gamut defines a specific range of colors identifiable by our eyes. The gamut is established to reconcile the color between common devices you use like your monitor, printer, and camera. There are a few different standards that represent color gamuts. The graph to the right uses triangles to depict the coverage of these standards. When comparing sRGB to Adobe RGB you’ll notice that Adobe RGB covers a broader range of vivid greens. 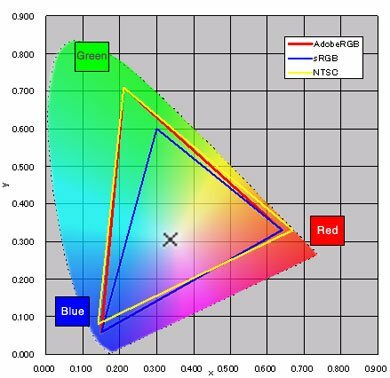 As your monitor won’t be able to produce colors outside of its range, you may find this important. You can get a color accurate monitor in this price range although there are higher-end monitors that are needed for certain types of jobs. Today, I’d say that 99% of photo editors simply can get what they need in a less expensive option. Speaking of 99% be sure that when a monitor is listing coverage you understand whether you’re getting 99% sRGB or Adobe RGB coverage. In this price point, it’ll likely be sRGB. Expect to pay substantially more if you’re wanting 99% Adobe RGB coverage. While there are certainly more terms and options we could go over, that is a basic guide to what most will need to know about the monitor they’re purchasing. Getting a good monitor in this price range isn’t too hard if you know where to look. Personally, I prefer the UltraSharp options because of their superior factory calibration out of the box. Disagree or have another monitor that you’ve come across that you feel should be on this list? Let me know by making a comment below.